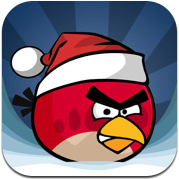 If you have any plans for tonight, then you better cancel them — Angry Birds Seasons has just received another update. The newest edition offers fifteen new-fangled levels and is available now in the App Store. That’s not all, of course. ‘Seasons’ users now have the unique ability to send Angry Birds themed Easter cards to one another.